"Lynne was very warm and took the time to get to know us, our interests and our needs. Because of her we now live in the house of our dreams and are ... more "
"We used Lynne Freeman as our realtor when we purchased our house in 2010. She went way above and beyond what is required of a realtor. She made the ... more "
"So very happy we found Lynne! 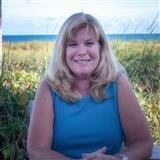 She helped us quickly find our dream home with her extensive knowledge of Delray Beach's family neighborhoods and ... more "